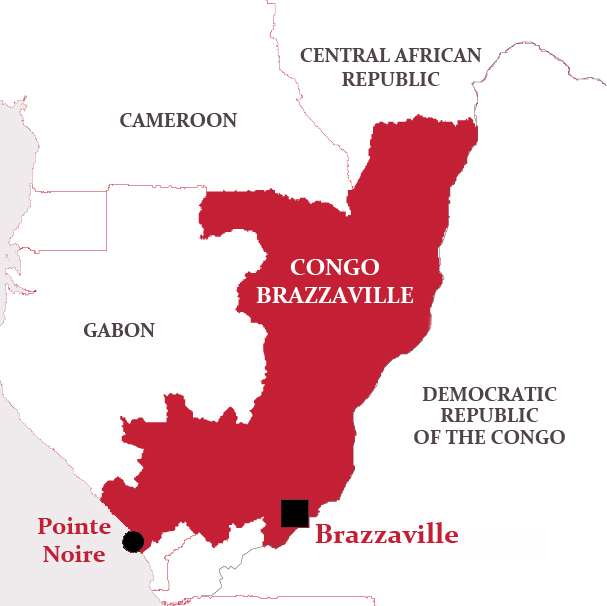 The IECD has been working in Congo- Brazzaville since 2012, the year when it committed to supporting healthcare structures via the Support for Healthcare Structures Program (PASS), in a country where access to healthcare is a major public health issue. The improvement of care for people suffering from sickle-cell disease program allowed in 2017 to screen 2,000 children, inform 3,000 people and train 10 healthcare professionals. The Support to Small Enterprises program has been deployed in Congo-Brazzaville since 2014 and after Pointe-Noire, a second Management and Services Center (CGS) opened its doors in 2016 in Brazzaville. In 2017, activities were launched in Dolisie, the 3rd city in the country. In partnership with APNI (Association Pointe- Noire industrielle), the 3rd edition of the Entrepreneurship Forum was held in Pointe-Noire in September 2017, bringing together more than 1,000 participants. It was also the Congo which, this year hosted the annual seminar of the Enterprises Development Network.